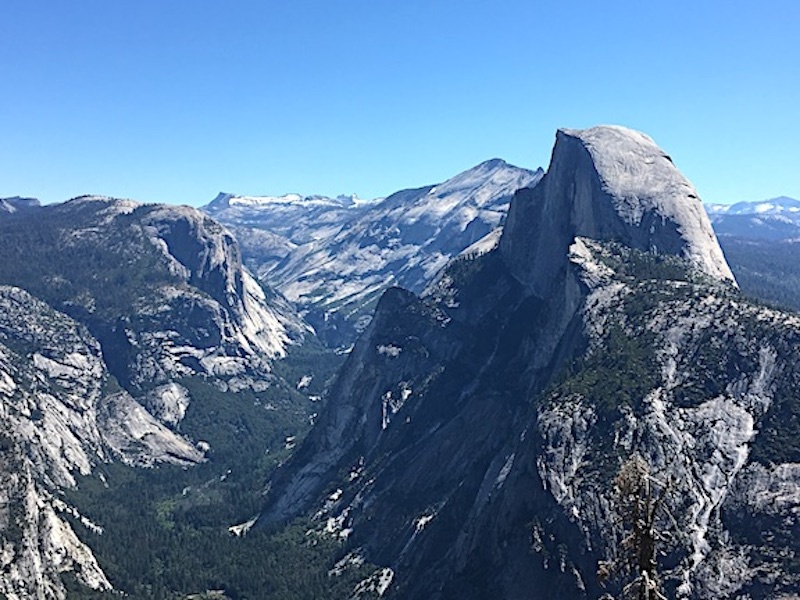 As a teacher for 35 years, I have often described the majesty of Yosemite National Park as a prime example of the power of glacial forces on our Earth. 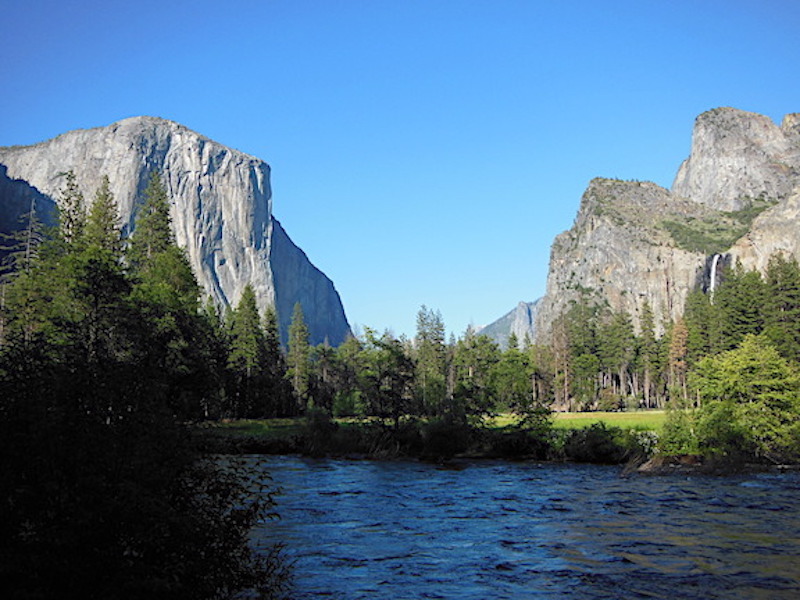 So it was somewhat ironic that I have never actually seen Yosemite Valley in person. As someone who lives on the East Coast of the United States, most of my trips to California were for business or conferences. This all changed this past summer. I discovered a few valuable lessons that may help to make your journey more enjoyable. Up front, I must say that if you have never been to Yosemite, the decision should not be whether to go, but rather when. I cannot begin to describe the amazing beauty of the place. It is truly one of the natural wonders of our planet. When I saw the valley for the first time in person, my first reaction was that it did not seem real, but rather looked like an opening scene from a the movie. If you have the opportunity to visit, you must make the effort. Needless to say, I am a fan, and I believe that there is little I can add to the many descriptions and accolades surrounding this gem of nature. I traveled to Yosemite for the first time at the end of June 2017 from San Francisco with my daughter. 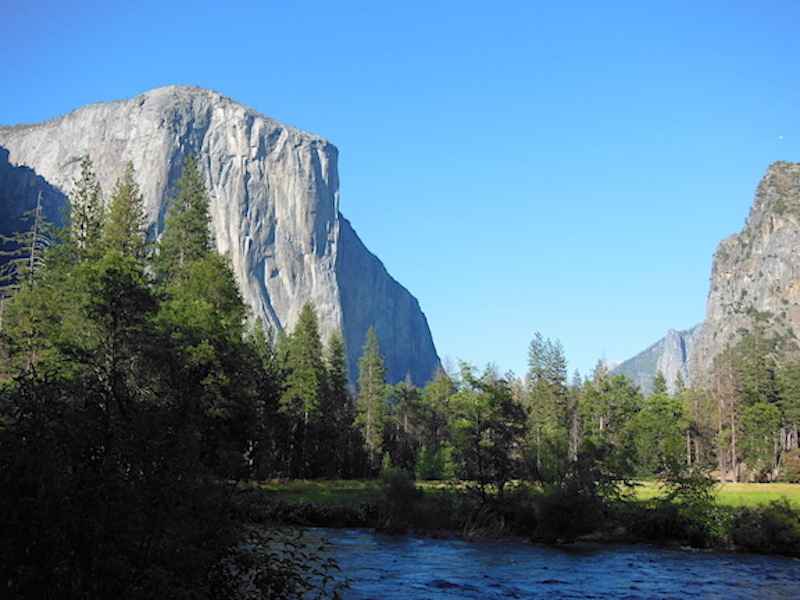 Since we only had two days to visit the park, we decided to focus on the Yosemite Valley area for our first visit. The actual National Park is very large, and we knew we did not have enough time to venture into other areas of the park. Our decision to visit Yosemite was made about 6 months before our journey. Ideally, we wanted to stay at one of the lodging sites within the park, but a search in January did not yield any available places for the dates of our visit. This was a little disappointing, so we decided to look outside the park by following the access roads that led into our destination. Eventually we settled upon a town about 45 miles away from the center of Yosemite Valley called Mariposa on California Route 140. 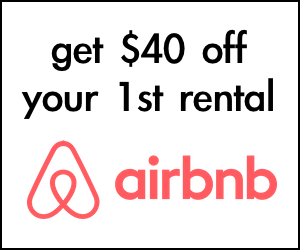 This proved to be a good choice for finding affordable accommodations and places to eat. 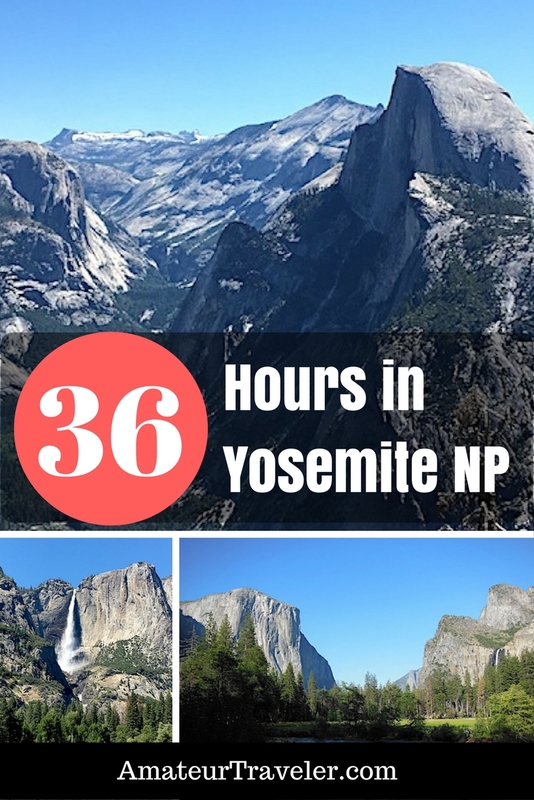 Another decision we considered was how to cover the 45 miles from Mariposa to Yosemite each day. We found that there was a public transportation system called YARTS (Yosemite Area Regional Transportation System) that ran a bus 7 times a day through Mariposa to the park and also made 7 return trips. We thought this sounded like a good idea, so we researched information and planned to use the bus the first day. In reality, it did not go as well as planned. After boarding the bus in the late morning, it took us a full 2 hours to cover the 45-mile distance due to a good number of stops, winding roads, and road construction. Our return journey took 3 hours due to the same factors. The additional hour on the return was most likely caused by crowded roadways or additional road construction in the park. After spending so much time on the bus, we found that we were not able to see much in Yosemite on our first day, so we regrouped and planned a different strategy for our second day. For our second day, we decided it would be best to drive. This decision was mainly dictated by our desire to have the maximum amount of time at the park and to be able to move around on our own schedule. We also knew that driving might have its own problems because the park was intensely crowded with visitors and cars. We saw very few open parking spaces on our first day and a lot of traffic jams. A park ranger estimated that there easily could have been 17 to 18 thousand people in attendance. Even with the intense traffic, driving proved to be a good choice. It actually took us less than an hour to cover the distance from Mariposa to the entrance of Yosemite Park. We chose Glacier Point as our first stop. Our goal was to get an early start around 8 AM and arrive before the late morning crowds. Glacier Point gets very crowded and by 10 AM during the summer, the Park Service often requires visitors to take a shuttle to reach the viewing point. Our early morning strategy worked well, and we arrived at our location before the Park Service required visitors to Glacier Point to use their shuttle system. 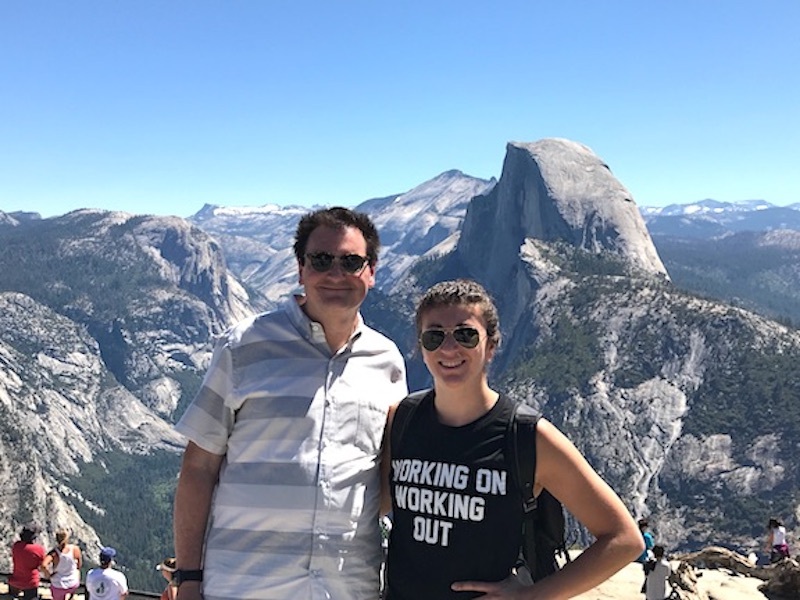 My daughter and I are both in good physical condition and we enjoy hiking. We enjoy seeing natural scenic sites that we can get to with a reasonable amount of effort. Both of us also wanted to see as much as possible in the day and a half that we had at Yosemite. 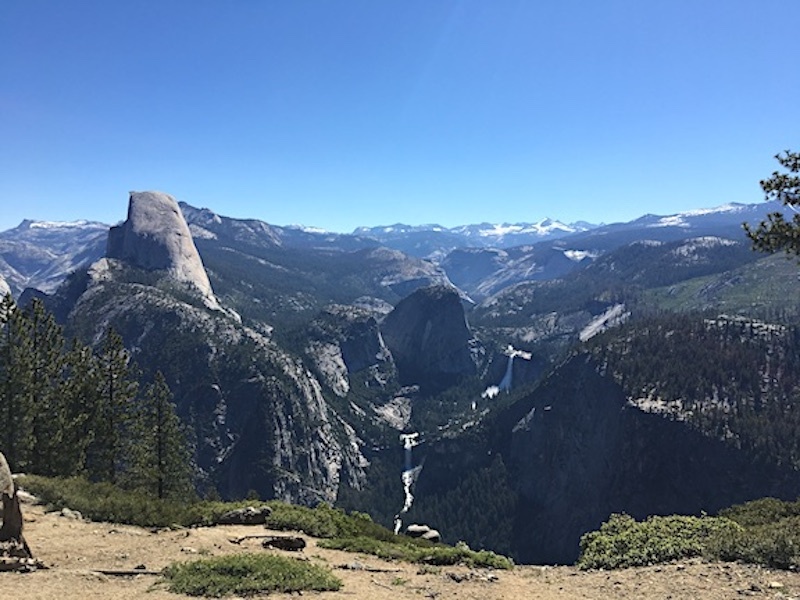 After some research, we decided that our goal would be to see: Yosemite Falls, Tunnel View, Bridal Veil Falls, El Capitan, Half Dome, Cook’s Meadow, and Glacier Point. We further hoped that we would be able to take a hike around Mirror Lake. The Mariposa Grove of Giant Sequoia Trees was also on our list, but it was closed for restoration until the fall. 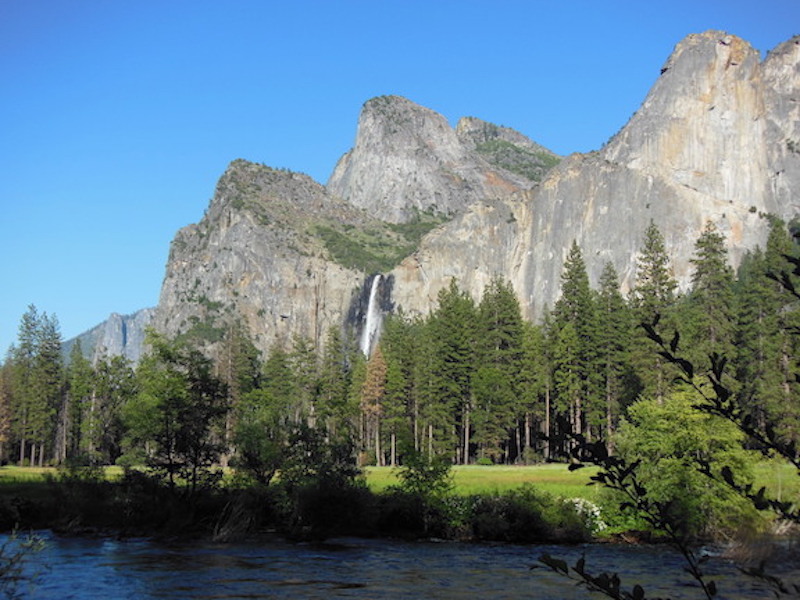 On our first day, we were able to see Yosemite Falls and walk the Cook’s Meadow Trail. We were a little disappointed that we were not able to accomplish more, but we did use our time at the park to investigate the park shuttle bus schedule and get a feel for the distance and locations of sites within the park. Glacier Point was a spectacular way to begin our visit. At an elevation of 7,214 feet (3,200 feet above the valley floor) the views from Glacier Point were breathtaking. This is definitely a must see stop on any visit to Yosemite. 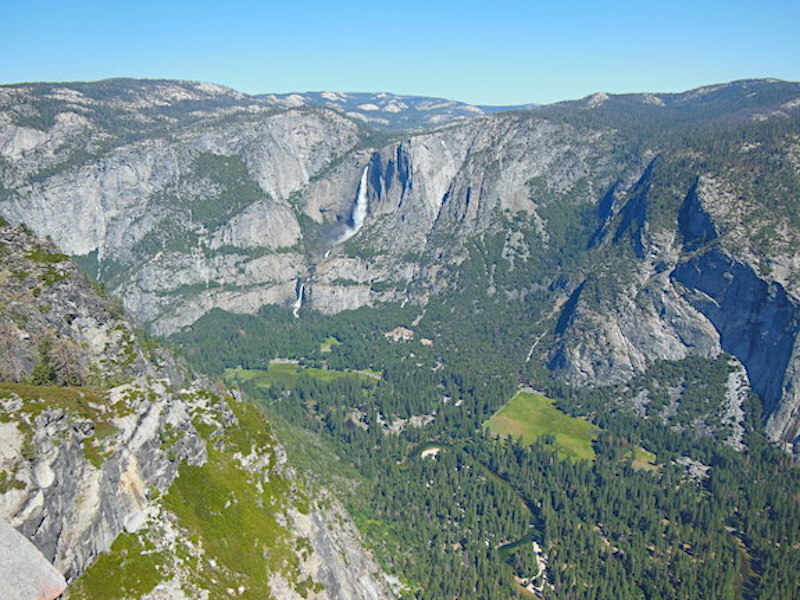 The panorama of the entire valley and Half Dome was a visual site we will never forget. We spent about an hour here, and noticed that the number of people significantly increased while we were there. On the way back to the valley floor, we stopped at Tunnel View for some great photographs. Fortunately, we were able to get a parking spot here, even though the parking areas were filling up quickly. Due to the changing light conditions in the valley, we found that many views from the west were in shadow during the morning. It would have made more sense to take photographs of the valley from Tunnel View later in the day. This would also be true for most of the famous sites in the valley, but changing our schedule would have required driving extra miles and possibly being blocked from sites due to over crowded conditions. After spending 20 minutes at Tunnel View, we descended to our first stop at Bridal Veil Falls. Here it was difficult to find a parking spot, but persistence paid off and we did find a place a little below the falls main parking area. After a short walk, we were able to visit the falls. It was great being up close to the falls, but it was not the best place to take photographs. After realizing this, we walked back to the valley floor where we could get some better views of Bridal Veil Falls and El Capitan. After finishing these visits, it was almost 11 AM and it was clear that the park was very crowded with car and bus traffic. Our plan was to head to the Visitor’s Center and park our car. We thought it would be best to navigate the rest of the park using the Park Service Shuttle Bus system. Finding a parking space was not easy, and we drove around for nearly an hour before we found a space a little west of the Yosemite Valley Lodge area. Most lots were full and parking by the side of the main roads was scarce. We felt fortunate to find a space. After eating lunch at the Valley Lodge, we boarded a Park Service Shuttle Bus to Mirror Lake. The buses were crowded mostly by people heading to Vernal Falls or Mirror Lake. In fact, the bus bypassed a few stops because there was no more room for additional people. By the time we reached Mirror Lake, it was almost 2 pm. We were a little tired, but we really wanted to do some hiking, so we decided to walk the six-mile trail around Mirror Lake. This proved to be an excellent idea. The hike was relatively easy and we soon discovered that after about a mile on the trail, there were very few people. In fact, the next 4 miles were very peaceful and serene. We found that even though the major sites may be very crowded, there are still many quiet areas that can be found by hiking a little deeper into the park. 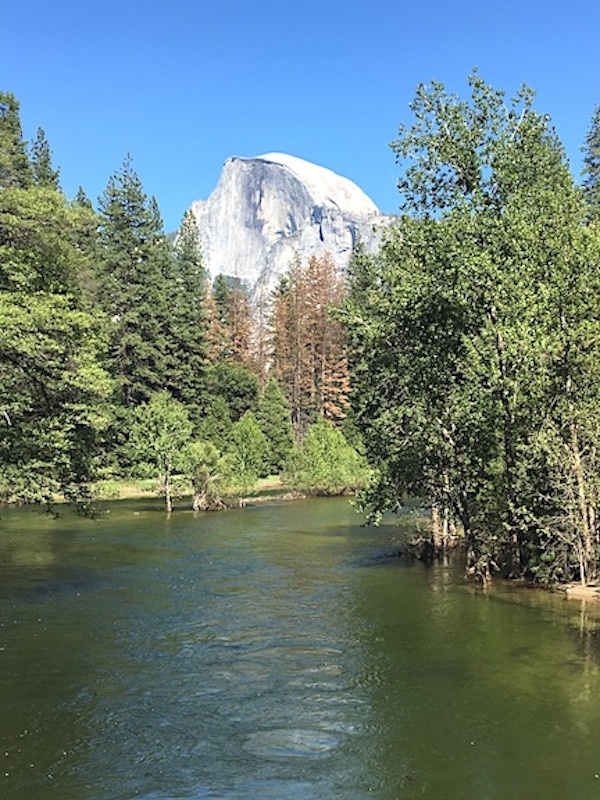 This was a fascinating trail that took us to the still waters of Mirror Lake, near the base of Half Dome, and along the raging headwaters of Tenaya Creek. It provided a wonderful contrast to the crowds we experienced at other locations within the park. By the time we finished around 5 PM, the traffic in the park began to significantly diminish, and we had no problem getting the bus back to our parking area. Furthermore, the roads on our return drive were not crowded, and by 7 PM, we were back in Mariposa where we had a relaxing dinner. First, it is important to plan well in advance if you are traveling there during the summer. Expect large crowds and be flexible with your schedule. When you go there, arrive early and build extra time into your plans. 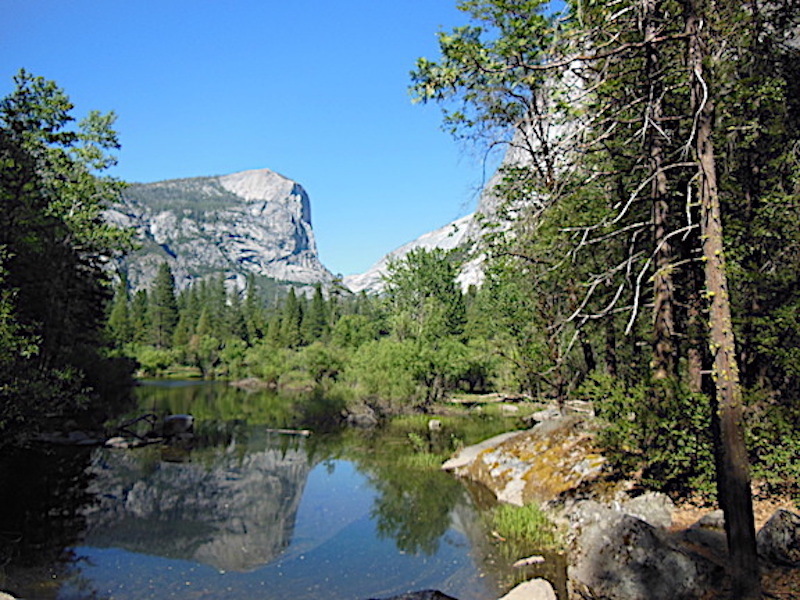 You can see Yosemite using public transportation, but a car does give you more options and flexibility. The Park Service Shuttle is a valuable tool that you should use to get to areas of the park in Yosemite Valley. In fact, the only way to get to Mirror Lake was by use of the shuttle or walking. Popular sites will be crowded, but there are still many peaceful areas that can be found on the many trails spread throughout the park. Don’t let the excuse of summer crowds keep you away, just plan wisely and have a strategy for dealing with the people and cars. 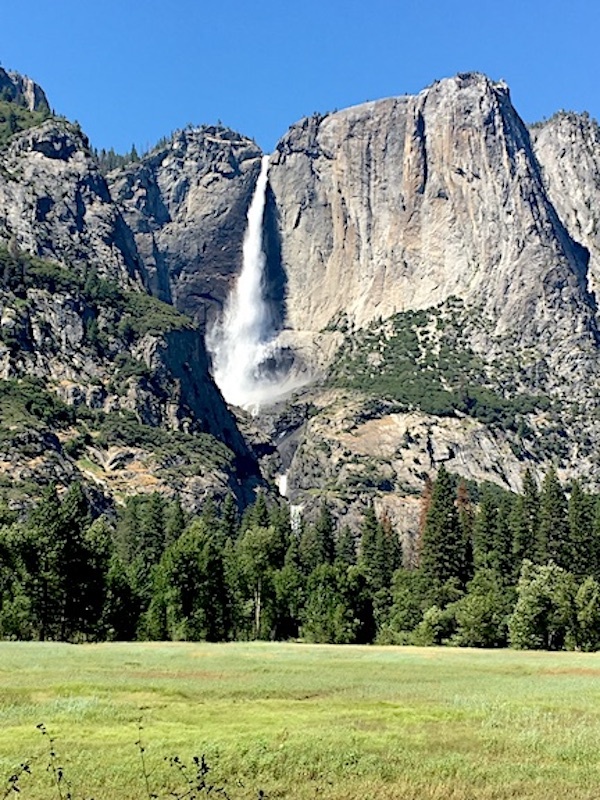 Our first trip to Yosemite National Park left us filled with wonderment and amazement. We want to go back and see more. So for us, we hope that this will be the first of many visits, and next time we’ll build upon the lessons we learned to explore even more of the park. It is worth noting that Yosemite is a very different place off season. The falls are not as spectacular in the winter when Yosemite Falls can blow away in a strong breeze, but on the other hand, I have parked at the Yosemite Falls parking lot in the middle of December with only 2 other cars and I have walked to Mirror Lake and seen no other hikers. 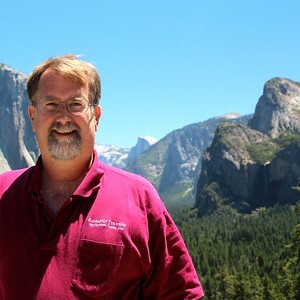 Barry S. Kramer is an elementary educator who developed a love of travel after attending an educational technology conference in Beijing in the year 2000. Since then he has returned to China eight times to experience many popular attractions, national parks, and out of the way places often not visited by Westerners. He has also traveled to Russia, Japan, Tibet, northern Africa, Europe, the Middle East, as well as many places in Canada, Mexico and the Caribbean. His travel partners are his wife, Liping, and his daughters, Liz and Jessica. Great post! Yosemite really took my breath away the first time I went; seems like there is still much more to see. Thanks for sharing!